This is officially my first post of the New Year! I have been looking forward to February as projects I have been working on will officially be over... I like to call it an end of an era! Now that my schedule is a bit more free (for now), I wanted to quickly recap my last trip of 2016. 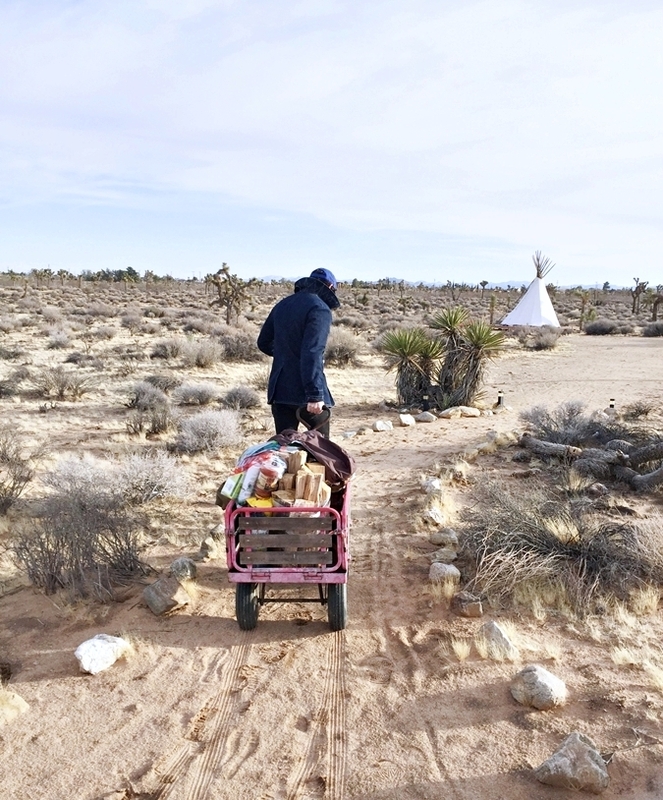 We had a 2 day, 1 night glamping staycation in Joshua Tree and I could not have asked for a stronger way to end the year. We never actually made it into the National Park, since I was miserably sick, but the glamping Airbnb was in a great deserted area with the exact same feels. 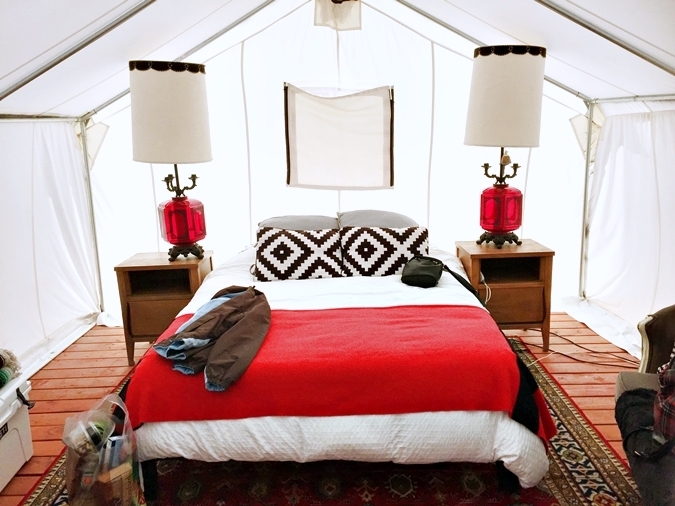 The glamping tent we booked was one of 5 other Airbnb experiences the host had available, including teepees, a yurt, and trailer - all of which I am dying to try. All rentals shared an outhouse kitchen and restroom, fully stocked. Minus walking to the restroom in the pitch dark, having an outhouse as beautifully designed as this one was not too shabby. After a pretty cold night snuggled in bed, we woke up to a beautiful day, sun out, and crisp air. I was feeling very Jane from Tarzan, so I threw on this Sammy Dress striped dress and hiking boots. For accessories, I first rocked my favorite Shop Bexo choker, then to amp up my Jane vibe, I threw on a neck scarf. I felt like I could conquer the world in this outfit. With the adrenaline running from being outdoors and having such a great, little staycation, I actually forgot I was sick in that moment. :) If you have any questions about traveling to Joshua Tree or this listing, feel free to comment! P.S. The man suggested we come back one day (in the Summer time, I hope) and book all 5 listings to have one big camp out with friends. I. Could. Not. Agree. More.